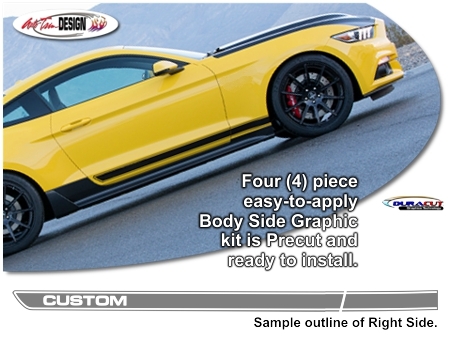 Set your '15-Current Ford Mustang apart from the rest with this customizable body side graphic set. Designed to be placed approximately 0.375" (9.525mm) below the distinct body line as shown, kit is precut, ready to apply and does not require trimming. Graphic is vehicle specific and will not fit any other vehicle other than the '15-Current Ford Mustang Fastback.